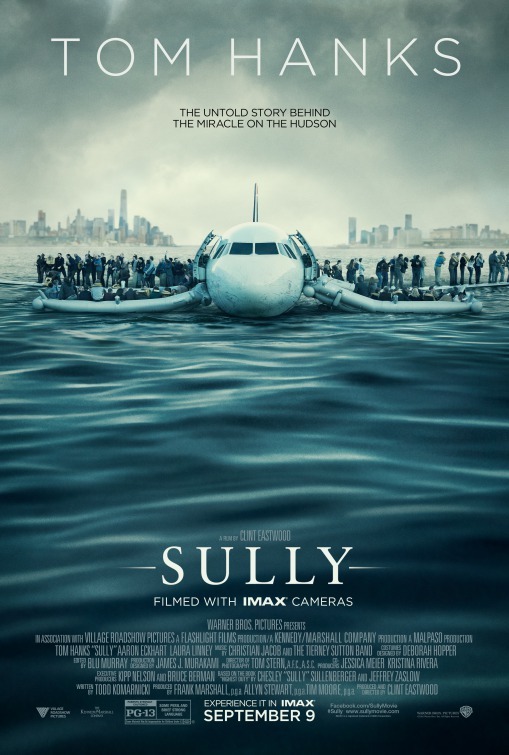 Synopsis: The story of Chesley Sullenberger, who became a hero after gliding his plane along the water in the Hudson River, saving all of his 155 passengers. 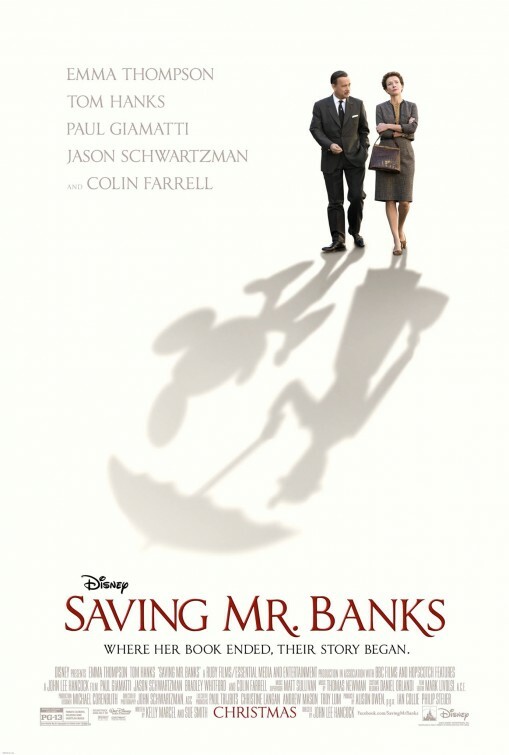 Thoughts: Though he doesn’t wear a cape, Tom Hanks is the unquestionable superhero of moving movies. The amazing story that came to be known as The Miracle on the Hudson made its captain, Chesley “Sully” Sullenberger, a media darling and Sullenberger’s recounting of his courage under fire made for good reading. Judging from this first look at Sully, there’s more to the story than most of the public would ever know as it shows the rippling backlash after Sully’s moment in the spotlight. 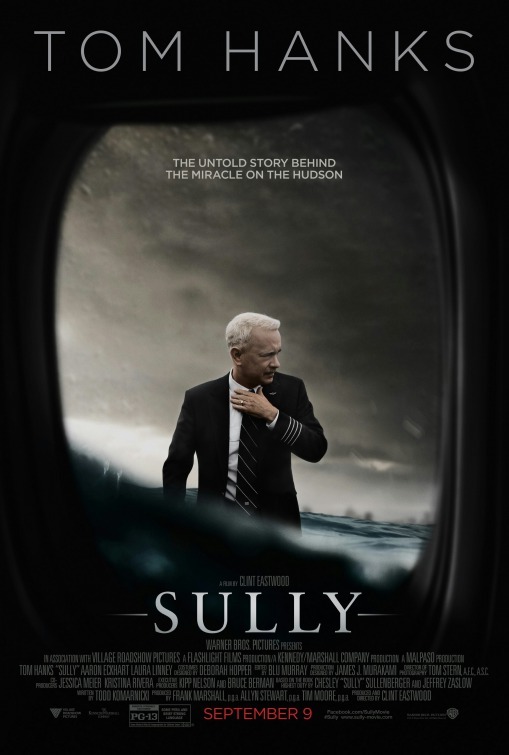 While I feel it looks awfully similar to the 2012 fictionalized Flight and that J.K. Simmons would have been a more ideal Sully, Hanks (Cloud Atlas) and director Clint Eastwood (American Sniper) make this one something that might fly high this fall. Thoughts: Director Steven Spielberg (JAWS) has been pretty quiet lately. 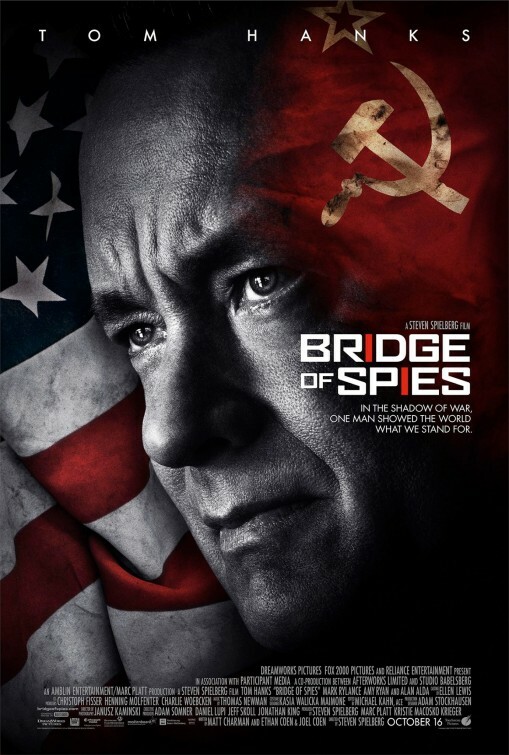 The last film he released was 2012’s lauded Lincoln but while he was attached to any number of rumored high-profile projects he’s making his return with this Cold War thriller starring Tom Hanks (Saving Mr. Banks, Captain Phillips, Cloud Atlas). 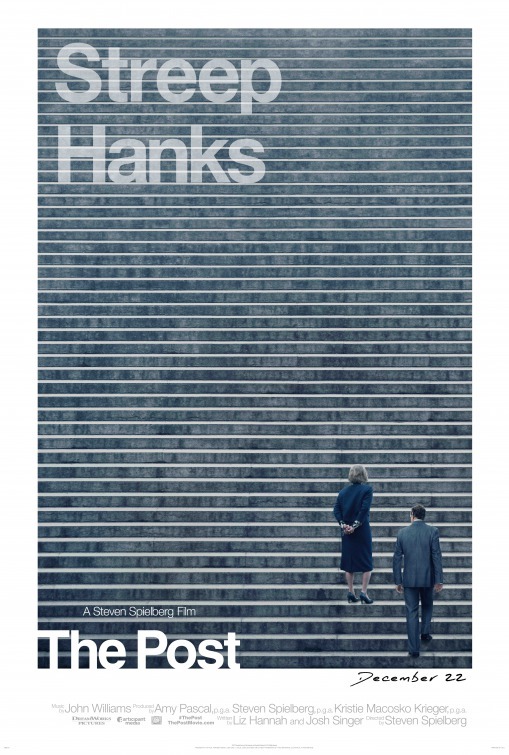 Reteaming with Hanks for the fourth time, Spielberg seems like a good fit for this period piece that could be thinking man’s action film after a summer of brainless blockbusters. 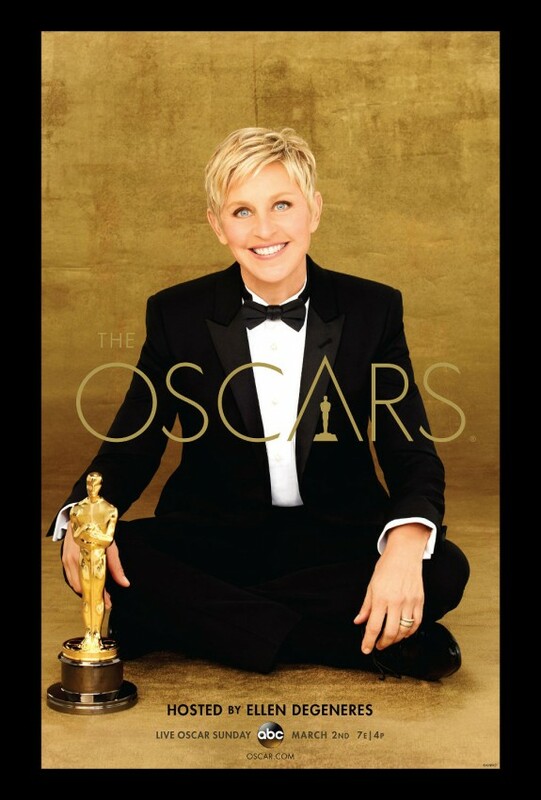 With a script from Joel and Ethan Cohen (Unbroken, Inside Llewyn Davis) and supporting cast that includes Alan Alda (Wanderlust), Billy Magnussen (Into the Woods), Amy Ryan (Birdman), and Mark Rylance…expect this one to attract a lot of end of the year awards talk. Synopsis: Two sisters join the first female professional baseball league and struggle to help it succeed amidst their own growing rivalry. Review: There are certain and specific indicators that summer is on its way: the greening grass and budding trees, the rising temps and thawing snow drifts, the appearances of short shorts and sandals (with and without socks), and the baseball season openers from coast to coast. Just as bears come out of hibernation and seek nourishment, so do the baseball fans trek to their stadiums hoping to catch a fly ball. Baseball has been called the national pastime and baseball films remain the most popular subject for sports related films. 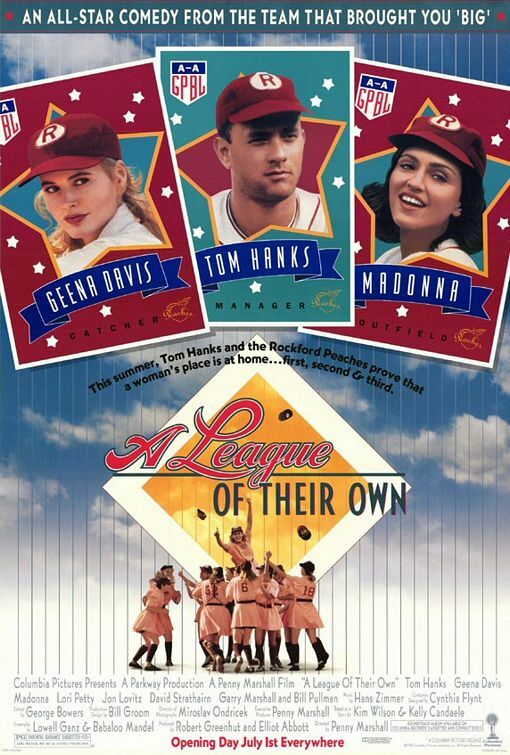 Up until A League of Their Own was released in the summer of 1991 (and pretty much ever since) the baseball genre has been dominated by films that targeted the male moviegoers. Whether it was appealing to their comedic side (Major League, Bull Durham) or tugging at their macho heartstrings (Field of Dreams, The Pride of the Yankees), you’d be hard pressed to find a strong female presence that wasn’t relegated to the arm of the star pitcher or as the wife of the general manager. So it’s no wonder that A League of Their Own was such a big deal because not only did it introduce a female centered film but shone a light on a time in history that many had forgotten or were unaware ever existed. For 12 years, the All-American Girls Professional Baseball League operated with 15 teams featuring a grand total of 600 players. With World War II occupying the public interest, baseball executives like Philip Wrigley and Branch Rickey wanted to make sure that the sport wasn’t forgotten during that difficult time. To keep the cherished sport viable and considering so many men were away at war, the executives turned to female players to begin this new league that would make history. Though looking at it now you can see the sexist and misogynistic overtones (short tunic dresses replaces the baseball pants worn by men), it was the athleticism of the women that left the lasting impression on the record books. Director Penny Marshall was on a winning streak at the time and though her original casting of Debra Winger and Moira Kelly as ace baseball playing sisters recruited from a rural town who join the Rockford Peaches fell through, I think she was dealt a better hand by bringing Geena Davis and Lori Petty in as replacements. The rivalry that develops between scrappy pitcher Kit (Petty) and her sister Dottie (Davis) plays out among other small slice of life stories brought to us by a talented cast of women that not only act their parts with style but trained hard to become believable baseball players. Madonna and Rosie O’Donnell became fast friends offscreen, mirroring their Abbot and Costello-like relationship onscreen and Megan Cavanaugh is a scream as the shy Marla who makes up for her lack of camera-ready looks by consistently knocking balls out of the park. 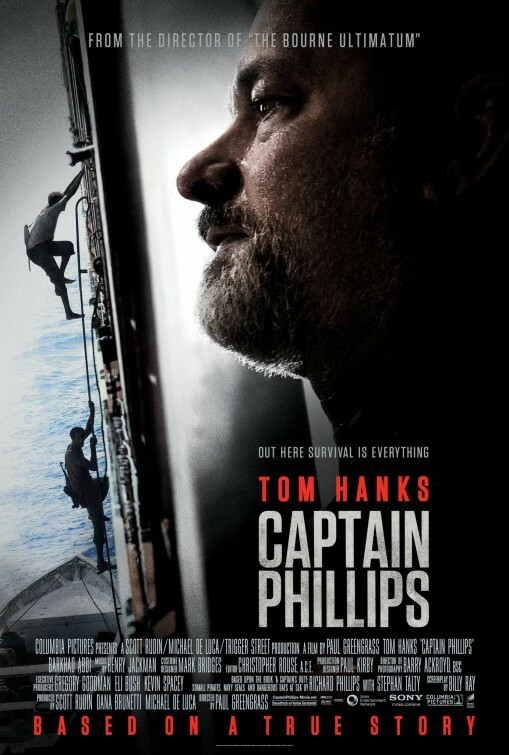 Let’s not forget that some notable men pop up here as well: though Tom Hanks (Captain Phillips, Joe Versus the Volcano) is the top-billed star, he’s wise enough to find a balance between making sure his character is developed while being sure not to step on any moments that spring forth from the likes of Davis and Petty. Jon Lovitz has a dynamite supporting role as a hysterically crass recruiter and Marshall gives him just enough slack to do his shtick without steamrolling everyone else. Inspired by a story from Kelly Candaele and Kim Wilson, the script from Lowell Ganz and Babaloo Mandell (Splash!, Gung Ho!, Parenthood) is fairly episodic and isn’t above introducing a character for a comedic bit only to ignore them completely for the rest of the film. This approach actually helps the film not feel as long as it is by breaking up the action into what could be seen as innings along the way. Most sport films tend to wear me out when we’re in game mode but the opposite is true in A League of Their Own. Marshall and the screenwriters have packed so much into their fictionalized story that much of the film’s developments happen on the field, in the dugout, or in the locker room. The scenes where we are away from the baseball diamond are the ones that dip in interest, but luckily those are few and far between. Lovingly book-ended with real players from the All-American Girls Professional Baseball League, the film still works all these years later because baseball seems to be (to me) the one sport that is truly timeless. The comedic moments are still light and play off the strengths of the actors while the more dramatic sequences are handled with an honest hand, though it’s easy to see some manipulation at play. This is one film I find myself revisiting often and I always walk away with a sense of satisfaction because there’s a winning completeness to the movie as it touches all the right bases. So now that the days of summer are creeping their way toward us, it’s time to dust off this film too if you haven’t seen it recently. 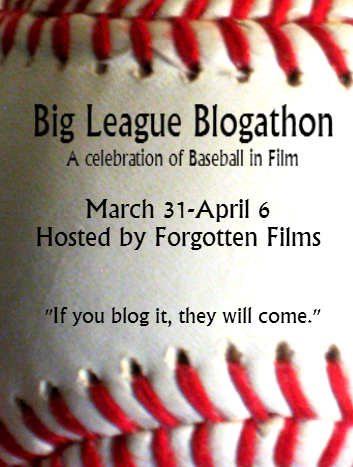 Make sure to check out Forgotten Films for more reviews in the Big League Blogathon!